CRL President Bernie Reilly describes how this issue explores, from a number of perspectives, the variety of source materials available for scholarly research on the Middle East. Roberta L. Dougherty, Middle Eastern Studies Librarian, University of Texas at Austin, examines recent efforts to document the “Arab Spring” revolutionary movements that began in December 2010, particularly Egypt’s Tahrir Square. To observe how new technologies currently serve research purposes, CRL recently performed an assessment of Archive-It content based on three public collections related to the Middle East. In response to member feedback, CRL has substantially augmented its collections and services in this area, from Arabic manuscripts to the British India Office files on modern Iran. 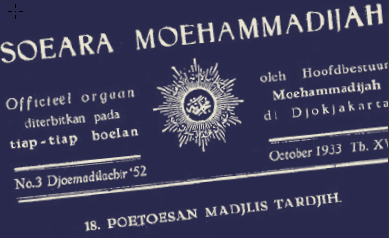 The periodical Soera Moehammadijah documents the development and programs of Muhammadiyah, Indonesia’s largest and most successful modernist Muslim movement. CRL collections.